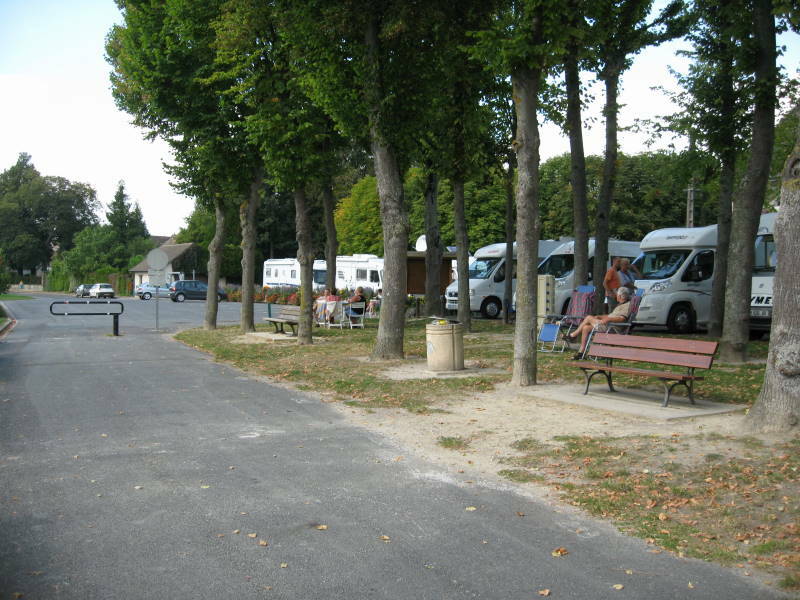 A delightful aire on the Marne river and canal, right in the centre of a village near the Maire’s office. Aire on edge of main square carpark with marked out places. There are overflow pitches onto river edge. Can be very busy during summer weekends and also at grape picking time. Cost per 24hrs: Champagne vineyards, forest walks, Reims. Great cycle paths by river on both sides with tracks into town passing locks and gate houses with beautiful flower beds in season. Small supermarket within 50 mtrs, selling most general food items.